When subjected to continuous tensile loads, a material cools in the elastic regime and heats up in the plastic regime. Temperature changes are also observed when metals are subjected to cyclic stresses of amplitude below the yield strength. The insights into the use of thermomechanical phenomenon as a NDE technique are presented here based on experimental and computational evidence. Infrared thermal camera has been used to monitor the temperature changes in the materials. Measured temperature changes for tensile load on a material subjected to different levels of plastic deformation and for cyclic load on material are presented. Existing theoretical basis to explain the thermomechanical response is discussed in terms of (a) thermoelastic effect for the elastic regime in tensile load, (b) Taylor–Quinney coefficient for the plastic regime in tensile load, and (c) phenomenological models for the cyclic load. For the case of monotonic tensile loading, the extent of initial plastic deformation of a material is experimentally correlated with the observed decrease in temperature in the elastic regime. For the case of cyclic loading leading to stresses below the yield strength, the Kelvin–Voigt model has been found to be sufficient to explain the temperature changes. Amount of plastic deformation accumulated in the material can be deduced based on the decrease in temperature during tensile loading. Closeness between the parameters of Kelvin–Voigt model and that of the grain make this model suitable for understanding the thermomechanical response of polycrystalline materials subjected to stresses below the yield strength. To fully explain the thermoplastic effect beyond the Taylor–Quinney coefficient, a phenomenological model that accounts for the grain resizing, along with rotation and sliding, during the plastic deformation needs to be developed. We thank Pravin Patil and Dr. Kathirvel Thiyagarjan for their contributions in major experimental aspects of this work. NDT resource. Available from: https://www.asnt.org/MinorSiteSections/AboutASNT/Intro-to-NDT [Accessed: 2018-01-07]. Patil P, Thiyagarajan K, Prakash R, Balasubramaniam K, Int J Adv Manuf Technol (2009). https://doi.org/10.1007/s00170-008-1870-1. ASTM standards. 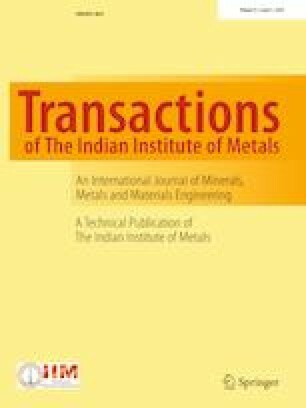 Available from http://www.trl.com/astm_e8_tensile_testing_of_metals/ [Accessed 2018-01-14].